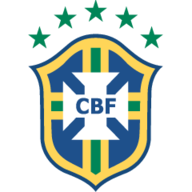 Match ends, Brazil 2, Croatia 0. Second Half ends, Brazil 2, Croatia 0. Goal! Brazil 2, Croatia 0. Roberto Firmino (Brazil) right footed shot from the centre of the box to the top right corner. Assisted by Casemiro with a through ball. Neymar (Brazil) wins a free kick in the defensive half. Attempt missed. Roberto Firmino (Brazil) right footed shot from outside the box is high and wide to the right. Assisted by Casemiro. Attempt blocked. Neymar (Brazil) right footed shot from outside the box is blocked. Assisted by Casemiro. Foul by Filipe Luís (Brazil). Marko Pjaca (Croatia) wins a free kick in the attacking half. Attempt missed. Roberto Firmino (Brazil) right footed shot from the right side of the box is close, but misses the top right corner. Assisted by Danilo. Paulinho (Brazil) wins a free kick in the attacking half. Substitution, Croatia. Tin Jedvaj replaces Sime Vrsaljko. Attempt missed. Neymar (Brazil) right footed shot from outside the box is close, but misses to the left from a direct free kick. Foul by Marcelo Brozovic (Croatia). Attempt missed. Duje Caleta-Car (Croatia) header from the centre of the box misses to the left. Assisted by Marcelo Brozovic with a cross following a set piece situation. Foul by Roberto Firmino (Brazil). Mateo Kovacic (Croatia) wins a free kick on the right wing. Substitution, Croatia. Filip Bradaric replaces Ivan Rakitic. Substitution, Brazil. Taison replaces Willian. Substitution, Brazil. Fred replaces Coutinho. Coutinho (Brazil) wins a free kick in the attacking half. Attempt blocked. Willian (Brazil) right footed shot from the right side of the box is blocked. Assisted by Paulinho. Goal! Brazil 1, Croatia 0. Neymar (Brazil) right footed shot from the centre of the box to the high centre of the goal. Assisted by Coutinho. Corner, Croatia. Conceded by Thiago Silva. Substitution, Brazil. Marquinhos replaces Miranda. Substitution, Croatia. Marko Pjaca replaces Ante Rebic. Offside, Brazil. Filipe Luís tries a through ball, but Neymar is caught offside. Neymar (Brazil) wins a free kick in the attacking half. Substitution, Croatia. Marcelo Brozovic replaces Milan Badelj. Substitution, Brazil. Roberto Firmino replaces Gabriel Jesus. Substitution, Brazil. Filipe Luís replaces Marcelo. Marcelo (Brazil) wins a free kick in the defensive half. Attempt saved. Ante Rebic (Croatia) header from the centre of the box is saved in the top centre of the goal. Assisted by Andrej Kramaric with a cross. Substitution, Croatia. Mateo Kovacic replaces Luka Modric. Attempt saved. Neymar (Brazil) right footed shot from the left side of the box is saved in the centre of the goal. Attempt missed. Danilo (Brazil) right footed shot from outside the box is high and wide to the right. Assisted by Thiago Silva following a set piece situation. Willian (Brazil) wins a free kick on the right wing. Foul by Dejan Lovren (Croatia). Foul by Gabriel Jesus (Brazil). Dejan Lovren (Croatia) wins a free kick in the attacking half. 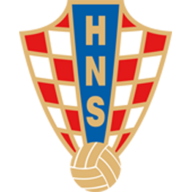 Substitution, Croatia. Duje Caleta-Car replaces Vedran Corluka. Attempt missed. Marcelo (Brazil) left footed shot from outside the box is close, but misses to the right following a corner. Corner, Brazil. Conceded by Dejan Lovren. Offside, Brazil. Willian tries a through ball, but Gabriel Jesus is caught offside. Substitution, Brazil. Neymar replaces Fernandinho. Second Half begins Brazil 0, Croatia 0. First Half ends, Brazil 0, Croatia 0. Delay in match Domagoj Vida (Croatia) because of an injury. Fernandinho (Brazil) is shown the yellow card for a bad foul. Delay in match Sime Vrsaljko (Croatia) because of an injury. Offside, Croatia. Dejan Lovren tries a through ball, but Andrej Kramaric is caught offside. Ivan Perisic (Croatia) is shown the yellow card for a bad foul. Ivan Perisic (Croatia) wins a free kick on the right wing. Attempt blocked. Paulinho (Brazil) right footed shot from outside the box is blocked. Attempt blocked. Paulinho (Brazil) left footed shot from outside the box is blocked. Assisted by Willian. Attempt blocked. Willian (Brazil) left footed shot from the right side of the box is blocked. Assisted by Gabriel Jesus. Attempt missed. Coutinho (Brazil) right footed shot from outside the box is high and wide to the right. Assisted by Marcelo. Attempt missed. Coutinho (Brazil) right footed shot from outside the box is too high. Willian (Brazil) wins a free kick in the attacking half. Paulinho (Brazil) wins a free kick in the defensive half. Offside, Croatia. Andrej Kramaric tries a through ball, but Sime Vrsaljko is caught offside. Offside, Brazil. Marcelo tries a through ball, but Willian is caught offside. Gabriel Jesus (Brazil) wins a free kick on the right wing. Attempt saved. Andrej Kramaric (Croatia) left footed shot from outside the box is saved in the bottom right corner. Assisted by Luka Modric. Andrej Kramaric (Croatia) is shown the yellow card for a bad foul. Delay in match Thiago Silva (Brazil) because of an injury. Foul by Andrej Kramaric (Croatia). Attempt missed. Dejan Lovren (Croatia) header from the centre of the box is close, but misses to the left. Assisted by Luka Modric with a cross following a corner. Milan Badelj (Croatia) wins a free kick on the right wing. Luka Modric (Croatia) wins a free kick on the right wing. Offside, Croatia. Sime Vrsaljko tries a through ball, but Ante Rebic is caught offside. Ante Rebic (Croatia) wins a free kick in the defensive half.